Hi everyone! 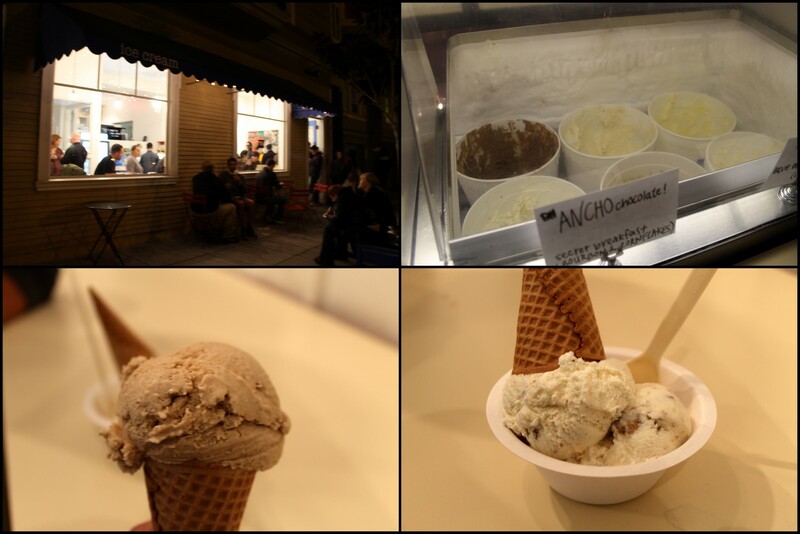 I decided to post our San Francisco trip in one post, so beware, it's long! There are no pics because we were in an airport all day. We missed our flight, but were lucky enough to catch the last flight of the day. We arrived in SF late in the evening, so we went straight to the studio apartment we were renting off of Airbnb. 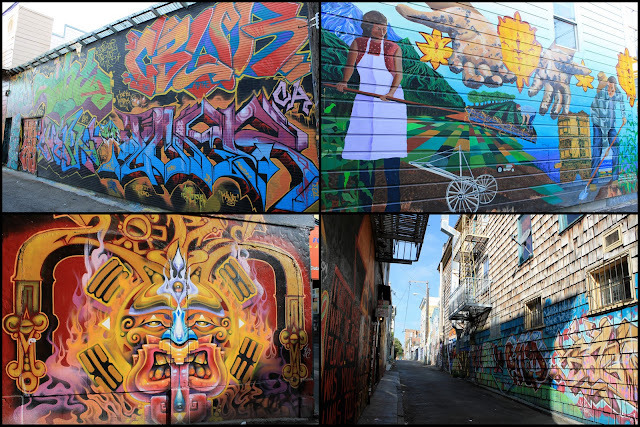 It was in an older part of the Mission District, which isn't the greatest place to wonder around lost with luggage. The apartment turned out to be a dump, so we made it a point to be out all day so we wouldn't have to touch anything or breathe in the air. One of the things that attracted me to The Mission was all of the food options. This Latino populated community is a haven for great Mexican food. Over the years, a portion of the area has become gentrified, sprouting other popular places that we tried as well. We woke up early to make up for lost time and grabbed breakfast at this small place near our apartment. 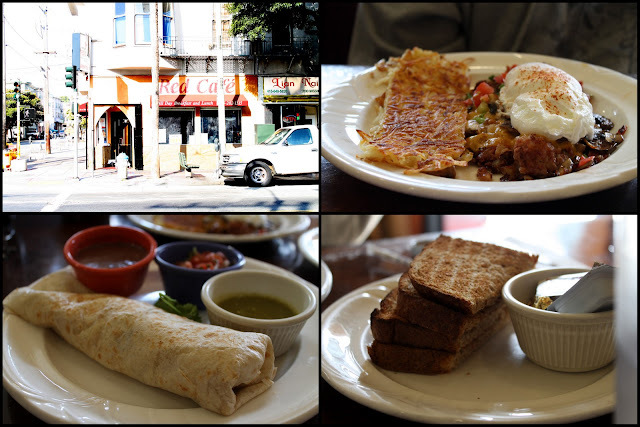 They had the BEST breakfast burrito ($7.99) we've ever tasted! It didn't need any of the salsas they had on the side. All of the ingredients like bacon and churizo brought intense flavor. The bf ordered the homemade corn beef hash ($8.25) that he thought was made correctly. We walked around our neighborhood for a bit, and admired all of the many murals and graffiti. I've never seen so much in a city before. That's saying a lot! It was beautiful. This is the best coffee we've ever had in our lives. Period. Thankfully it was a few short blocks from where we were staying, so we stopped by every morning to try a different flavor. 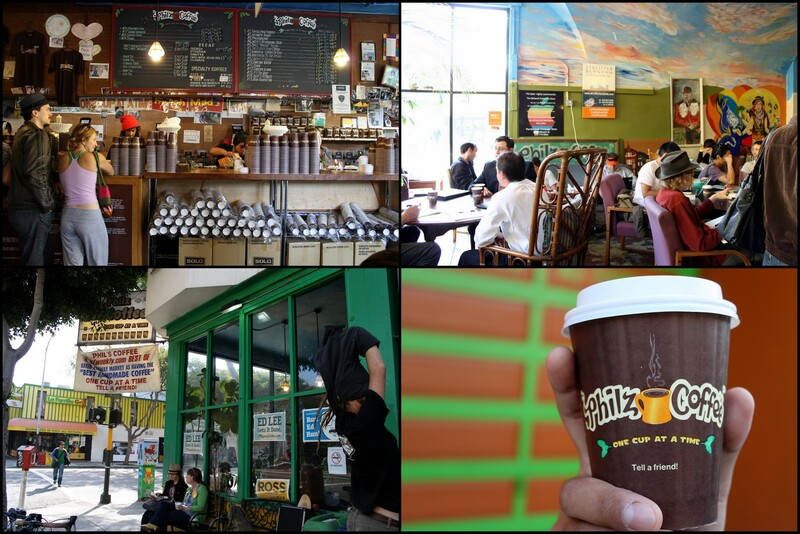 What makes this place special is that your coffee is made-to-order in an individual coffee filter. There's a very hippie vibe to this place. You order your coffee in the back of the shop, tell them how you like your coffee (cream, sugar) and then you pay. Once your order is ready, they actually watch you taste it to make sure it's to your liking! Sigh, love. Since we've been home, we had our favorite flavor (Ether) shipped to our place. We walked and took public transportation for most of the trip. We couldn't rent a car because the apartment didn't have a designated parking space or street permit. 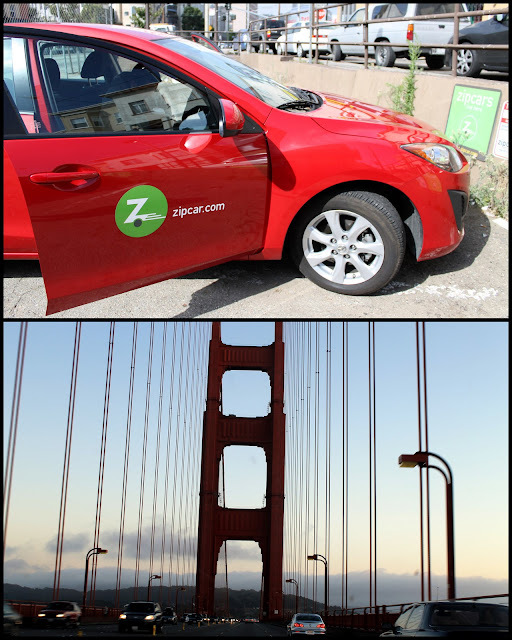 We used a Zipcar for the first time for places outside of the city like Sonoma, Saulsalito and San Jose. The only moment we were on the Golden Gate Bridge was driving over it! It offered a quick, scenic view of the Bay and city. We went to Muir Woods National Monument which was a 20 minute drive north from the Golden Gate Bridge. 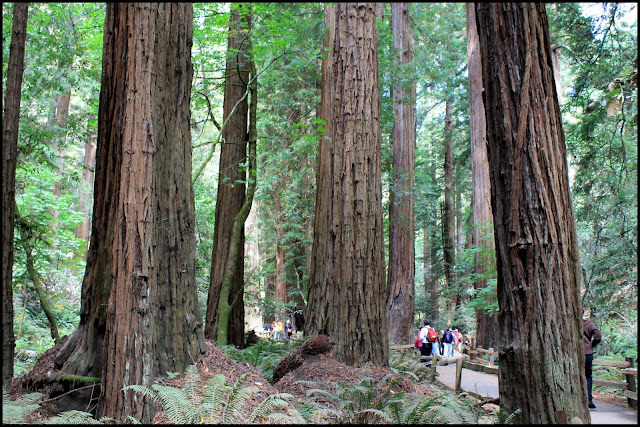 We wanted to see the famous redwood trees! None of my pics truly capture the enormity of these trees, but do you see how they compare to those people? It was super quiet when we were walking around. It was strange! There was no breeze, insects, birds or trickling water. It was also the freshest air I've encountered. I highly recommend visiting. We drove further north to Sonoma Valley to taste some wines! Napa was a bit further away, so we decided not to visit. We didn't do any vineyard tours. 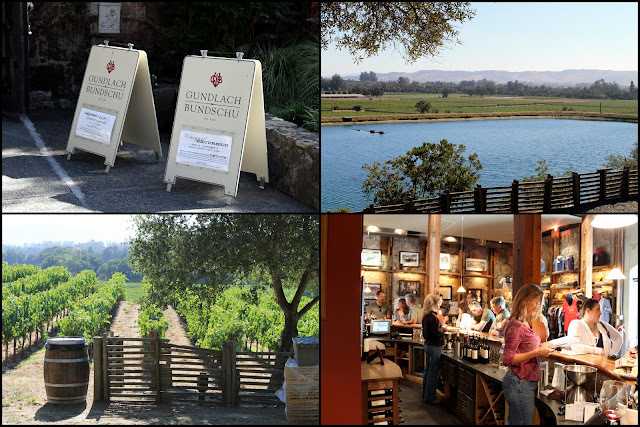 Just stopped by for tastings, which were all around $10-15 for 6-7 wines. 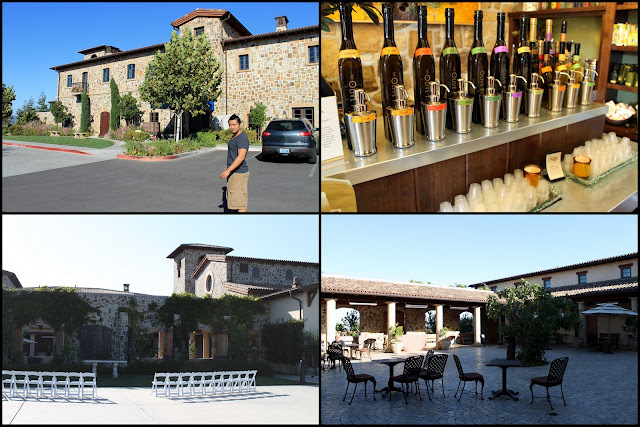 Small winery with a really nice and friendly staff. The bar was full with about 12 people. The bf loved their moscato. I thought their red wines tasted similar, and had too much of a bite too them. This was the most beautiful winery we visited. We drove past acres of vineyards as we approached the tasting room. They had a gorgeous lake next to it too. I could have stayed their all day! 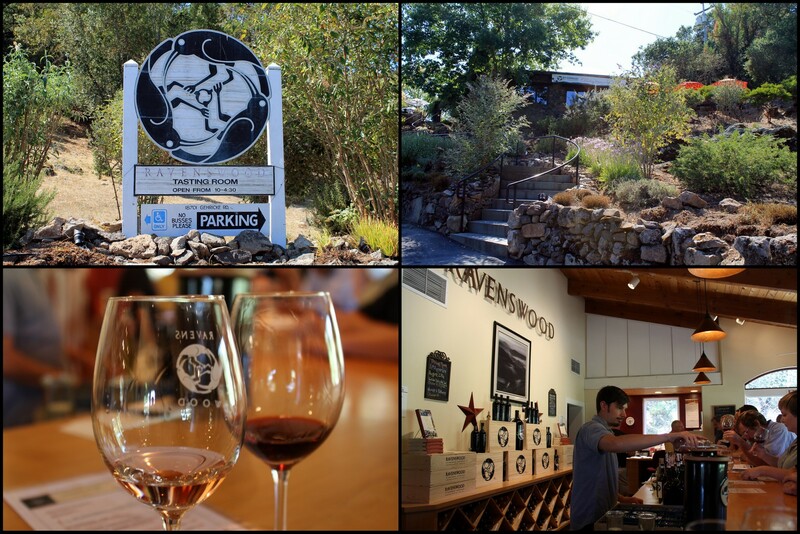 Their tasting room was much larger and also packed. I was already feeling the wine at that point, so our last stop was a winery that also made olive oil. The different flavors are made by processing the olives at different stages of growth, not by adding other ingredients. We chose a more mild, buttery oil that was made of olives pressed earlier in it's growth. The property was also very romantic and peaceful. On the other side of the Golden Gate Bridge is Saulsalito, CA. 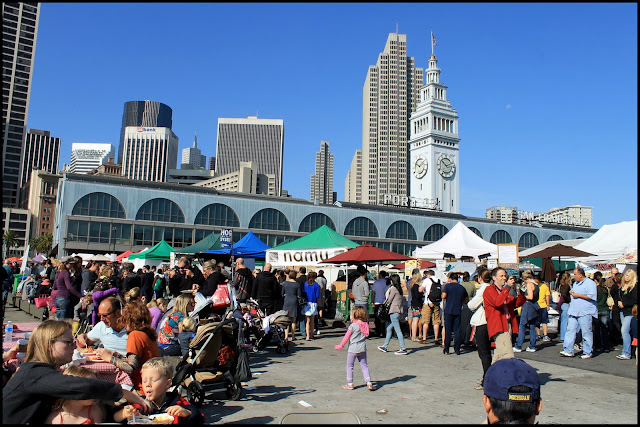 A cute, port town that can offer a nice view of the SF skyline. We decided to grab dinner on our way back at this French restaurant right on the water. Mussels Napoleon ($15), Oeuf cocotte ($11) and Fries ($5). 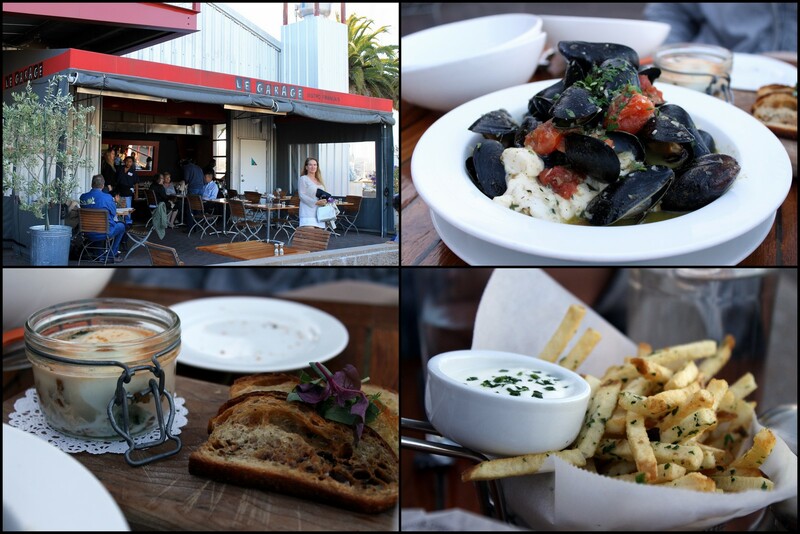 The service was attentive, the food was simple but good, and you can't beat eating outside on the Bay. After our morning cup of coffee at Philz, we headed to the Ferry Building that has the famous Saturday Farmer's Market. Can we say foodie paradise? I've never seen produce or products THAT fresh in the DMV, ever. We actually didn't buy or eat anything there. The lines were extremely long, we didn't have cash, and the bf wanted "real" food. The Oakland Bridge is right next to the Ferry Building, and looked serene in the morning. 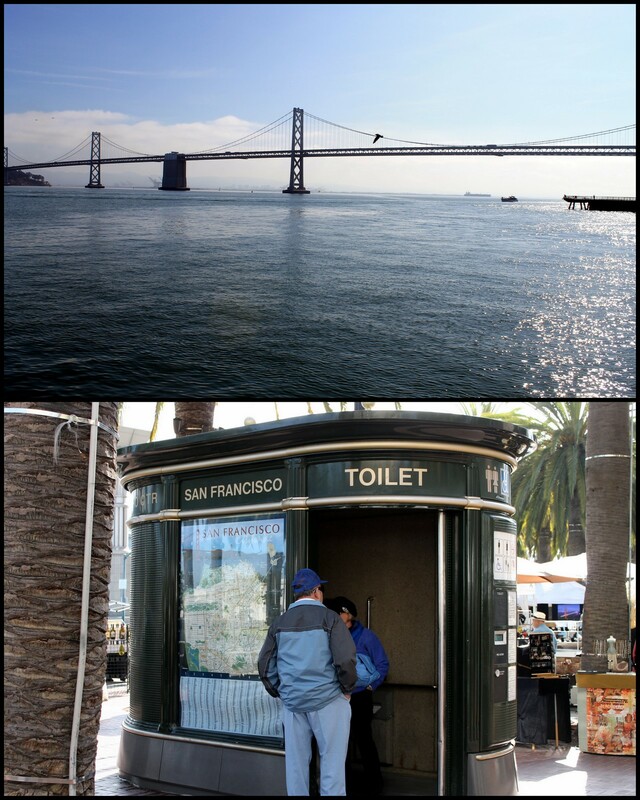 Random, but I had the chance to use one of SF's public bathrooms. It reminded me of a large airplane bathroom. It opens up automatically after 20 minutes, so you'd better hurry or the whole area is gonna see your junk! We walked to Chinatown for some "real food" and enjoyed this popular restaurant. It's not fancy on the inside, but it was packed, and known for its dungenous crab. We didn't order it but tried their Special Beef ($17), which was so tender and sweet. We also ordered a Combination Chow Mein ($11), which had very fresh seafood in it. Onto super touristy places! We're not a big fan of crowded tourist locations, but figured we should at least walk through so we could say we were there. 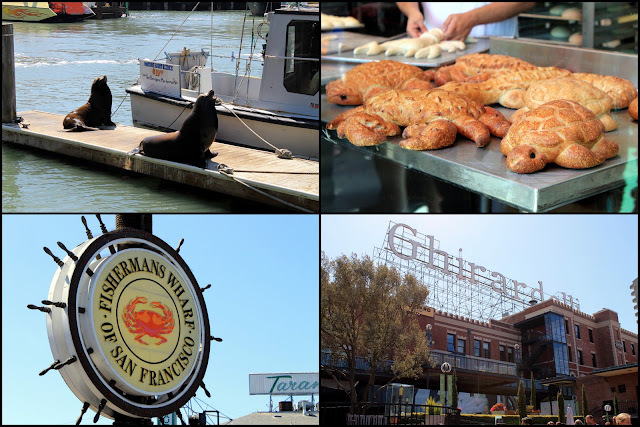 We checked out the Fisherman's Wharf, Pier 39 and Ghirardelli Square. Tell me that turtle-shaped sour dough bread isn't the CUTEST thing! 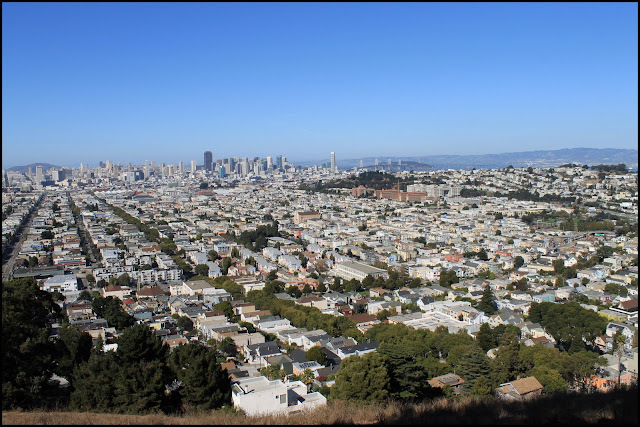 Who'd idea was it to build a city on such hilly land?! It still baffles me. Our calves were hurting walking around this city. 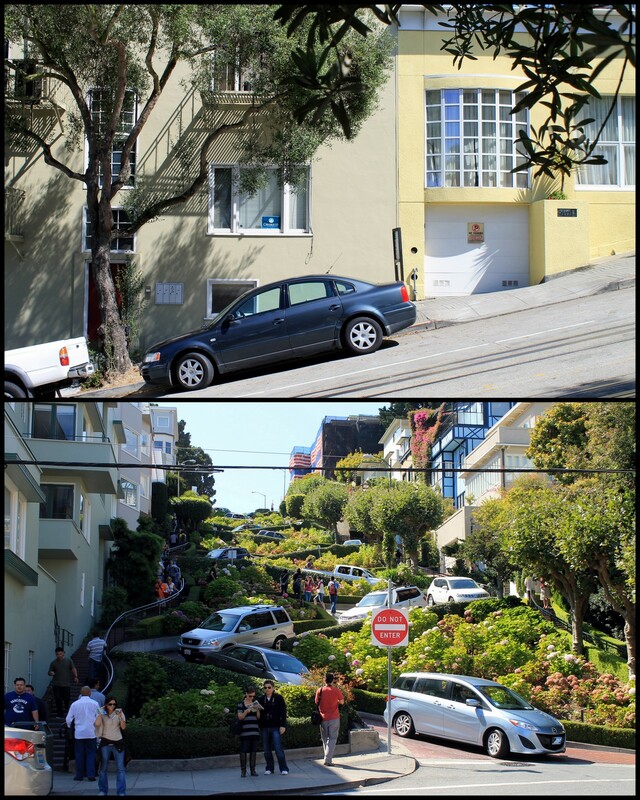 Lombard Street was a hike to get to, but offered a breathtaking view of the city and water. 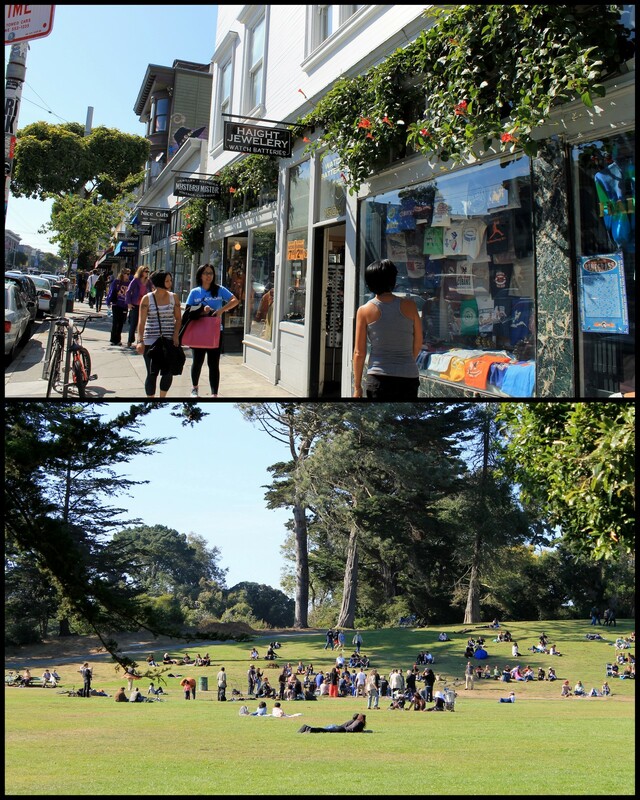 Haight & Ashbury was the center of the 60's hippie movement and still has that psychedelic vibe. We went into a few shops but didn't get anything as we walked towards Golden Gate Park. Our original goal was to bike around the park, but we were too pressed for time. It reminded me of NYC's Central Park because it's humongous, and has a diverse demographic: families, tourists, couples, and weirdos. The Japanese Tea Garden sounded like a nice thing to visit within the park. In actuality, it was a complete waste of money. It was tiny! We walked through the whole thing in 10 minutes and it was $7 a person. The highlight was the friendly squirrel that kept running in and out of the gift shop. 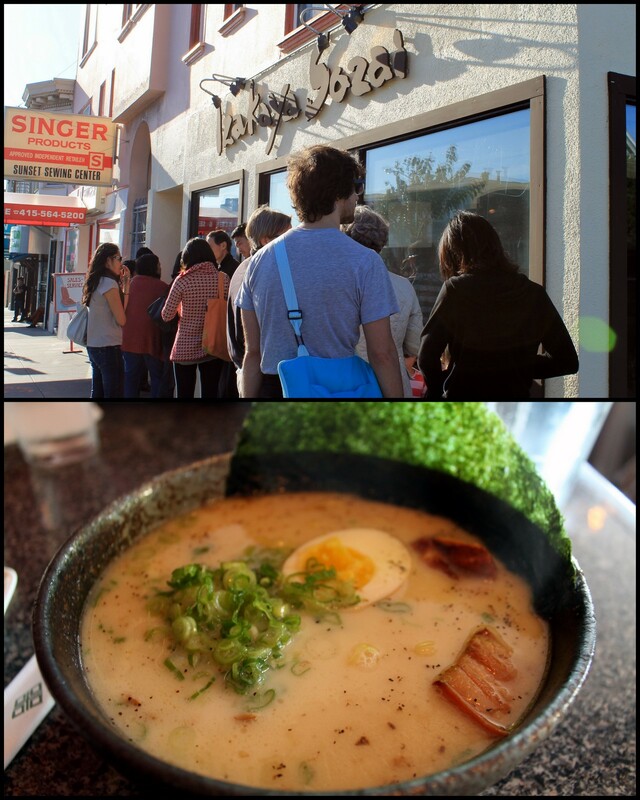 We left to get dinner at a ramen place south of the park in the Inner Sunset. 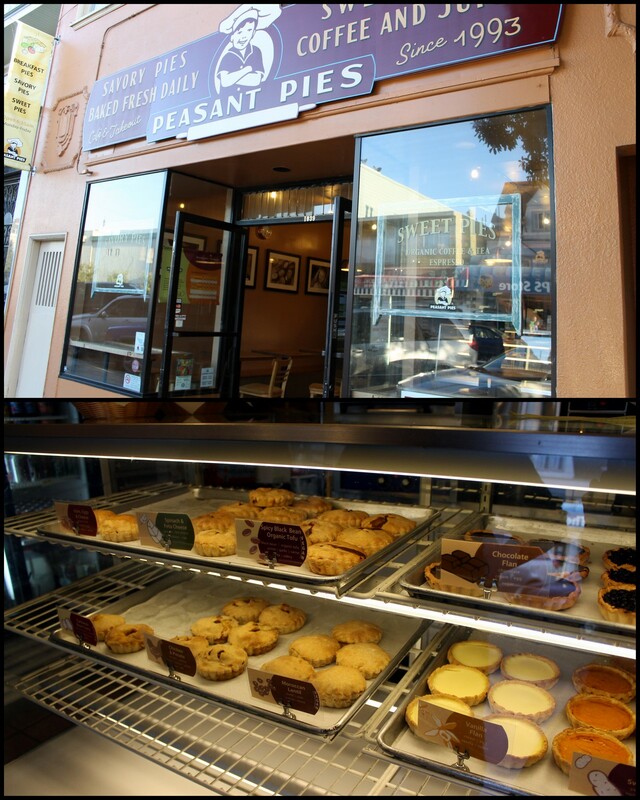 We were on a waiting list and ended up walking around and trying this pie place. They sell savory and sweet mini pies for $2.95 each. We tried the ham, egg & cheese, moroccan lentil and blueberry pear. The blueberry pear blew my mind! This place is known for their ramen and already had a line around the corner before it opened. I added pork belly ($2) to my Ritsu Tonkotsu Ramen ($8). I would say it's better than any ramen I've had in the DMV, but not as good as Ippudo in NYC. The noodles had a stiff texture, so it was hard to lay in my spoon. The broth was pretty good. 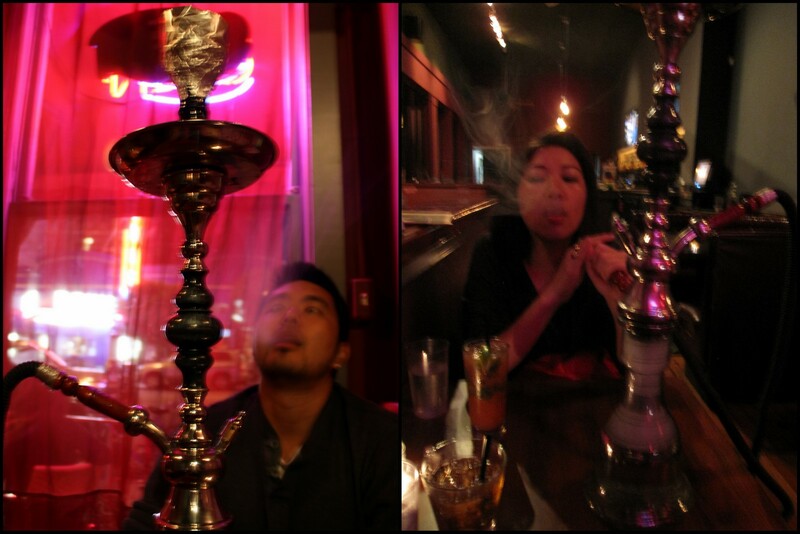 Since we didn't get a chance to go out the other two nights, we decided to grab a drink and smoke some hookah. The hookah was $20/hour, which was the most expensive we've ever paid anywhere. The guava mint flavor was the smoothest and strongest I've had though. They also made a delicious strawberry mojito. On our way back to our place we stopped to get ice cream! Once again, there was a line out the door. I have no idea what the name means, but they offer the most creative flavors I've ever seen. I had the hardest time deciding but went with Blue Bottle Vietnamese Coffee ($2.75). The bf got Secret Breakfast (bourbon and cornflakes) and Harvey Milk and Honey Graham Cracker ($3.75), which tastes sort of like cereal milk. My favorite was their most popular flavor, Secret Breakfast. The bourbon flavor was so strong, but memorable! I was quite impressed. Word around the streets is that this place is crack, so we rented the zipcar again for an hour drive south to San Jose for lunch. We made sure to get there before they opened! The place is covered in signatures, so I tried to add our mark on the wall too. I was so excited!! The bf was excited too, but partially because they were playing the Redskins game on the TV above our table. 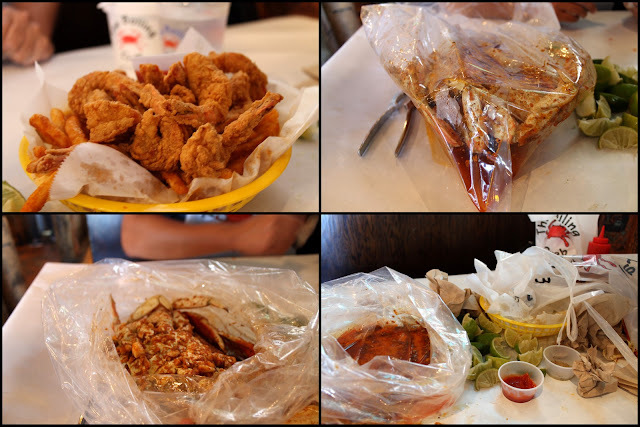 We ordered a basket of fried shrimp ($9.99), a whole dungeons crab in mild Shebang sauce (market price was $30) and two steamed rices ($2 each). The Shebang sauce is this INSANELY garlicky, spicy, oily sauce that the seafood is cooked in. I've never tasted anything like it before, and I'm sad we don't have it on the East Coast. 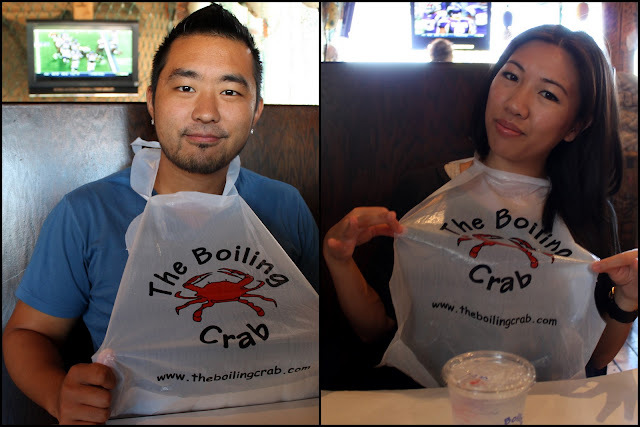 The crab was delicious and the sauce over the rice was great. I highly recommend it! Not too far away from our place was this open dog park on a high hill/mini mountain. It was a paved walk way to the top through a cute neighborhood. I thought it was the best view of the city we've seen. After our hike, we headed to this famous bakery for some fuel. It's funny that there isn't a sign for the place. You can just tell with the line out the door. 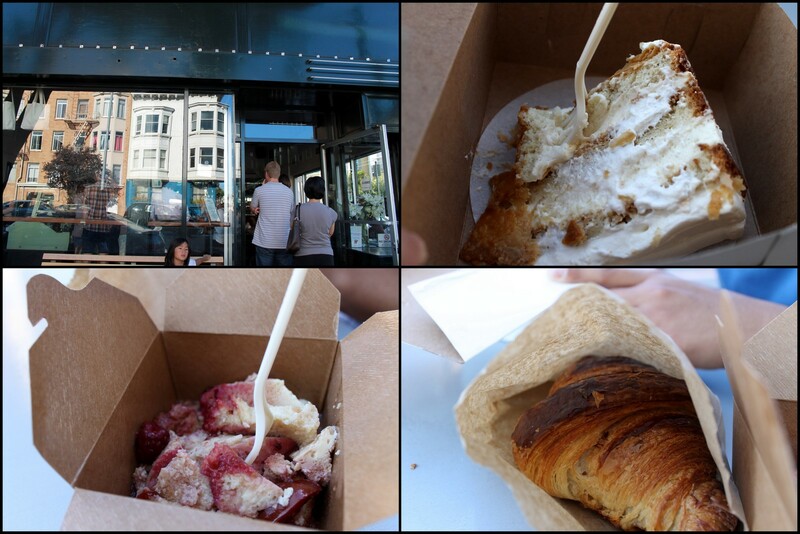 We shared the most buttery, flaky croissant ($3.75), warm fruit bread pudding ($3.50) and deliciously light tres leches cake. 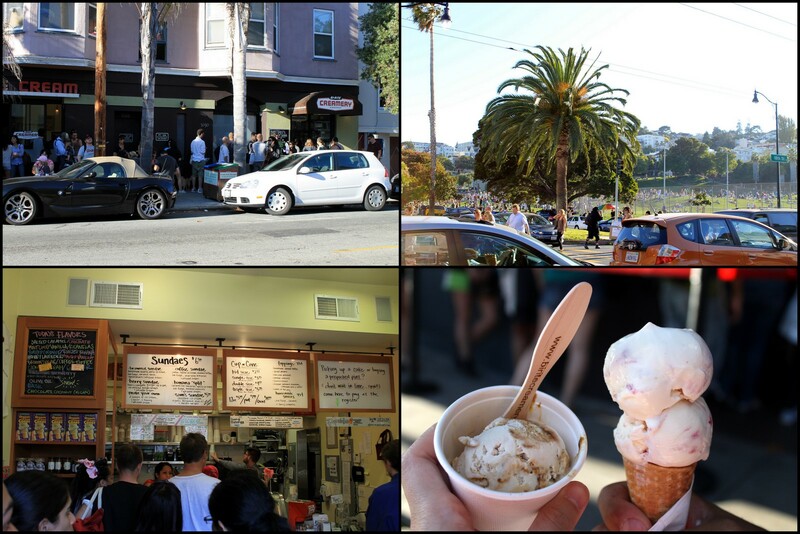 Right at the corner from Delores Park is the most famous ice cream place in the city. We stood in line for 45 minutes to see what the hype was all about. I felt like I was in the Georgetown Cupcake line. The bf wasn't too thrilled about that. They offered some unique flavors, but we played it safe, and got the brown sugar with ginger caramel swirl and white chocolate with raspberry swirl. Very creamy consistency and tasted good, but I wouldn't stand in that line again. 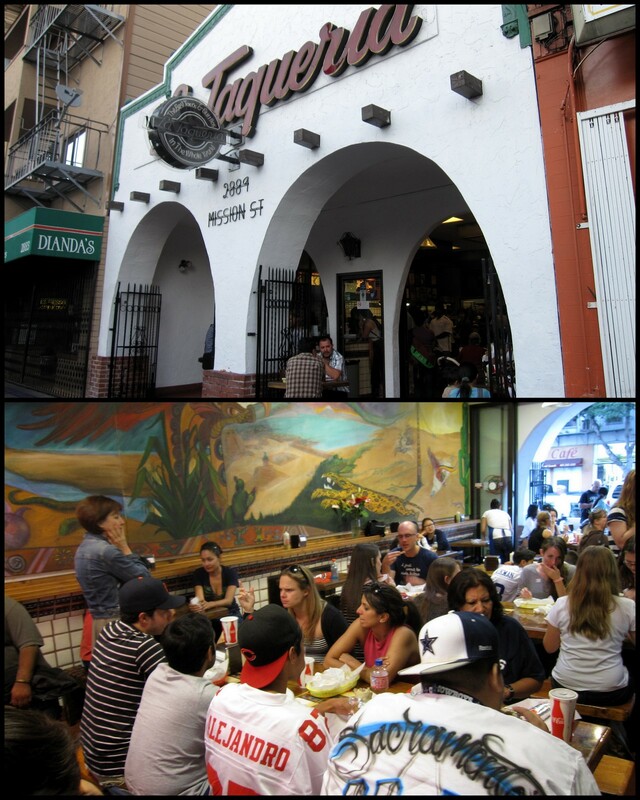 We were already stuffed beyond stuffed, but we had to get a burrito from the most popular place in our neighborhood. The place was packed! We ended up getting our burrito to go and eating it right before bed. Even cold, it was still the best burrito we've ever tasted. We didn't need any hot sauce! The carne asada was so flavorful and seasoned perfectly. They don't add rice or many other ingredients. I'm kind of sad we didn't get a chance to try it earlier. I wish we had more time. 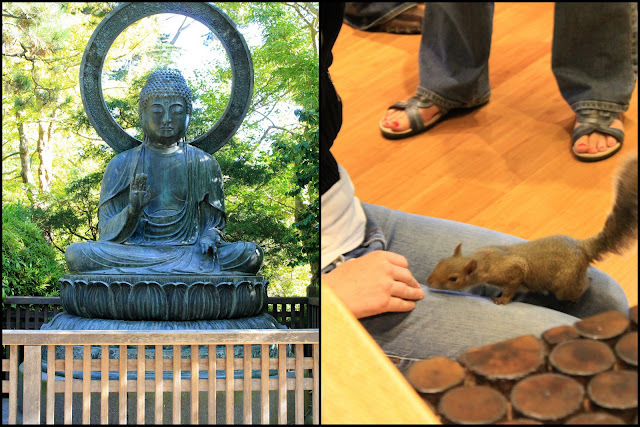 It's a very charming city with such creativity flowing from the architecture, people, public artwork and food. Did you guys see how many lines we had to stand in? They are such foodies here! It was completely different from our SoCal trip last year, but a great experience. 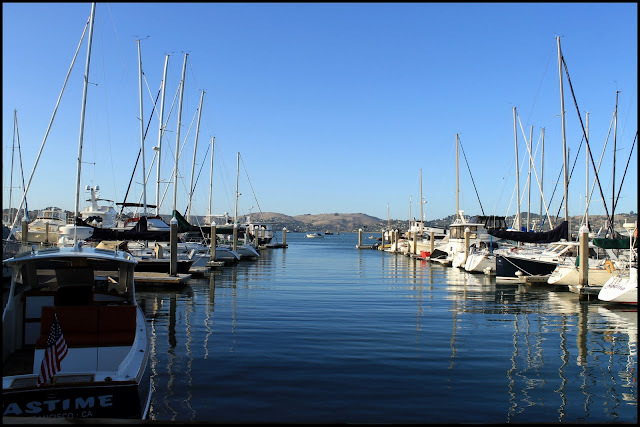 Hope you guys enjoyed this and found it helpful for your next trip to the Bay! My cousin took me to China Star - her favorite Chinese restaurant ever. There is plenty of parking in this suburban shopping center, and the closest metro would be Vienna on the orange line. She is a lover of authentic Chinese food and is the same person that introduced me to stinky tofu. Once again, I forgot to take a picture of the front! I think I've been so hungry recently that I just run in without thinking. The interior isn't too decorative, but there are lots of large tables for big groups. 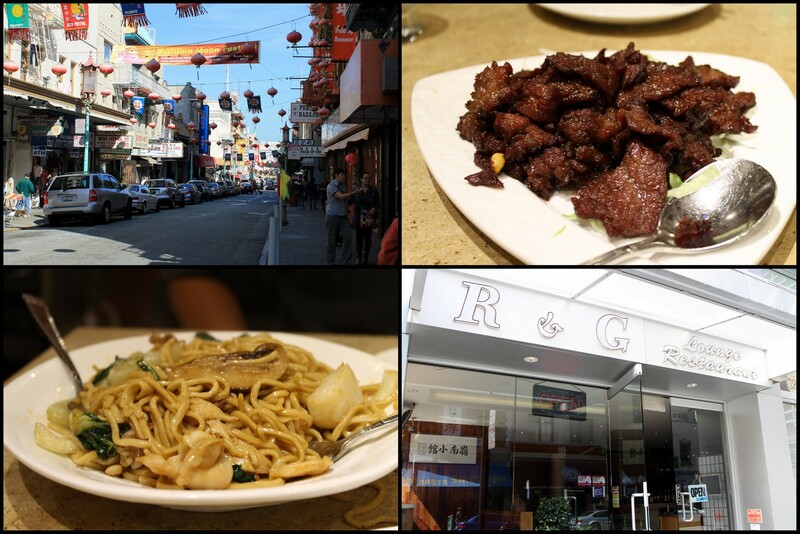 The menu has "American" Chinese food as well as over 100 of authentic Szechuan dishes. They started us off with a small portion of room temperature beans that were slightly sweet. Good snack. This was the famously addictive dish we came for. The Fish with Bean Curd ($11.95) has numbing properties. I didn't know what that meant when I saw it on the menu, but apparently the Sichuan peppercorns "numb" your taste buds slightly. This causes a different sensation when eating the rest of the dish, and used to enhance flavors. I honestly didn't even notice it! My cousin thinks it feels really cool and makes her water taste different too. Spinach with garlic wasn't on the menu, but my cousin asked for it, and it was AWESOME. So simple, but made perfectly. Happy Family (beef, chicken, pork, shrimp, scallop, and lobster with assorted vegetables sautéed in chef's special sauce) $13.95. It doesn't come with noodles, but we asked to add them because we actually ordered the wrong thing. It was tasty and fresh though! I don't eat as much Chinese food as my cousin does, but this place had some special dishes I haven't seen before. Cheap prices, nice service, and I would recommend coming to try any dish that has numbing spices in them! The bf and I were in Germantown to pick up my younger cousin, so we stopped by this popular sushi joint - Yuraku. Sorry I forgot to take a pic of the sign, but envision a plain, red sign in an old shopping center...the interior is much nicer. There is plenty of parking in the front lot. The closest metro is Shady Grove on the red line. I've been a few times before for their famous lunch buffet. It's around $13 a person, and offer a wide selection of special rolls and other buffet items. It's a small place that gets packed very easily. When I used to work in Gaithersburg, my coworkers and I used to leave the office at 10:30am to get a table. The bf and I even came with a reservation on a weekend evening and ended up leaving because it was taking forever. I like sushi places that give you free miso soup, yummy. They also gave us japchae (Korean noodles), caesar salad, and apple salad. So the menu has a HUGEEEEE selection of special rolls (close to 80). They cheaper than I've seen anywhere else, which contributes to their popularity. Other than their sushi, they offer noodles, tempura, grilled meats, and other typical Japanese items. 2 large boys and myself split only 4 rolls because they were MASSIVE. The photo doesn't show how much food you're getting for the price. Each of those pieces were two bites full. Double Spicy Tuna Roll (Spicy tuna, tempura flake rolled and topped with more spicy tuna) for $7.95 - I'm not a pro when it comes to spicy foods, so this packed more of a punch than I wanted. It was also too mushy. Crazy Horse (Chopped tuna, salmon, white tuna, yellow tail, red snapper, crabmeat, mayo, cucumber, avocado, masago, scallion) for $8.95 - I've realized that I'm not a fan of the chopped fish all blended together. You couldn't taste any of the ingredients. Dr. Zhivago (Salmon, avocado, cucumber, crab, masago) for $5.75 - This was my favorite because salmon and avocado is an amazing combination. Soft Rock & Roll (Fresh water eel, avocado, cucumber) for $6.50 - Unfortunately there was almost no eel in the roll. 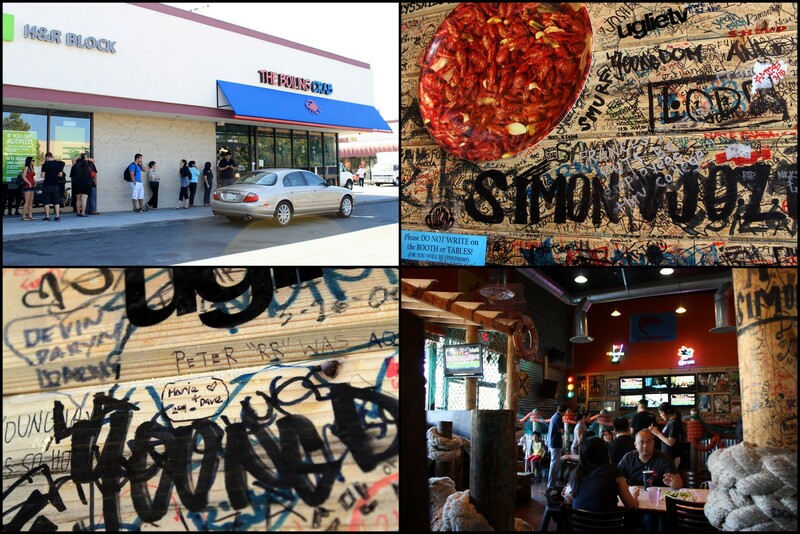 I have many friends that are die hard fans of this place (and are going to think I'm insane). I think it's a great "bang for your buck", however I'm not impressed by the creations or the quality. The roll flavors are one-noted even with a good amount of ingredients. The pieces are made too big and don't feel delicate when eaten. I felt the same way when I tried their buffet but thought it would be different ordering off the menu...it wasn't. As an Ambassador for Take a Bite Out of Breast Cancer, I ate with the bf at Chef Tony's in Bethesda last night. It was a rainy night, but it contributed to the cozy, dimly lit atmosphere. We went to town on this seafood menu! From the complimentary flat bread to the tiramisu, it was all delicious. We cleaned every single plate. 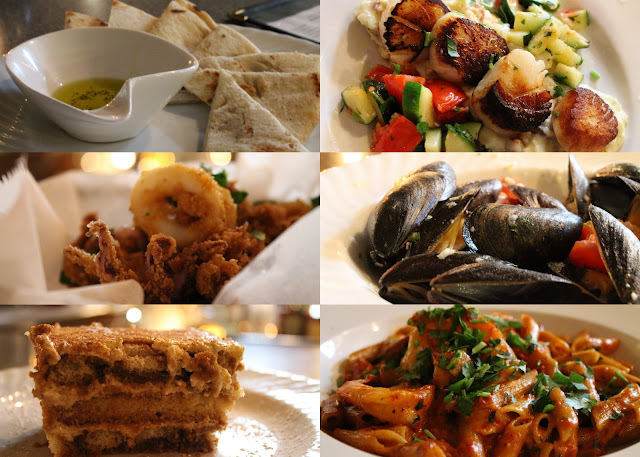 The menu changes daily depending upon what fresh ingredients are available. I had a chance to chat with Chef Tony and he enjoys giving back! Aside from the 10% each Wednesday in October to this cause, he donates 2% of sales for certain dishes to Help Save the Chesapeake Bay. From the warm and friendly staff to the high quality ingredients, you can't go wrong with dining there and supporting a good cause. Stop by Chef Tony's the last Wednesday of October! If you can't make it, check out the other participating restaurants. For everyone that has already supported, THANK YOU!